Ride for Compassion 2017 is happening from the 21st to the 28th of October. 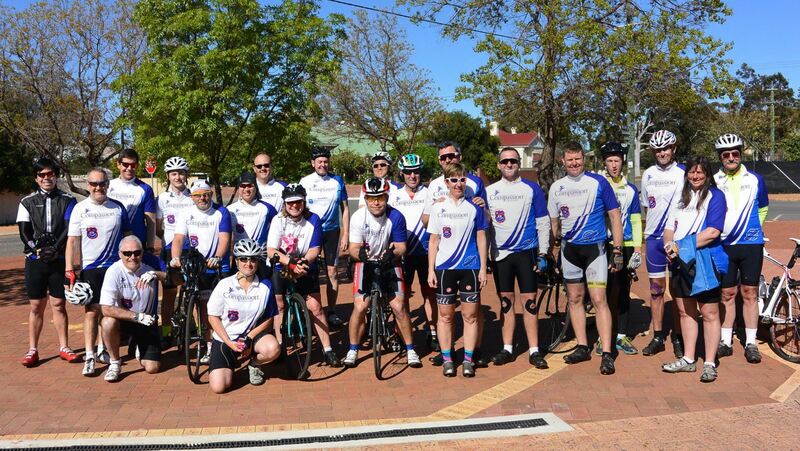 Participants will cycle over 520 kilometres from Albany to Perth in Western Australia, supporting Compassion and releasing children from poverty in Jesus’ name. Both cyclists and support crew are raising funds that will make a major difference in the lives of children in need. Through Compassion’s programs, children are supported through every stage of life, and are equipped to bring lasting change to their families and communities. While Compassion is a distinctly Christian organisation, they assist children and their families living in poverty regardless of their beliefs, gender or background. Thank you for choosing to raise much-needed funds for Compassion Australia, to help children living in poverty around the world. All funds raised for Compassion will be used to support Critical Interventions Program and will be used where most needed. All donations are appreciated, no matter the amount - every dollar counts!